Set of hand drawn vegetables. Fashion collection. Different Hand Drawn Shoes. Vector Set of Sketch Bags. Isolated. Octopus with boat. Vintage. Rubber stamp. 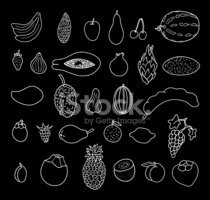 Set of hand drawn Vegetables and Tropical fruits. Background cut across a lot of citrus fruits. Citrus wedge background/card in vector format.